Republicans in the House and Senate are racing to pass a massive tax bill before leaving D.C. for the holidays, and after a week of closed-door meetings and backroom horse trading, they unveiled their final draft at the age-old hour of Washington news dumps: 5:30 p.m. on Friday afternoon. 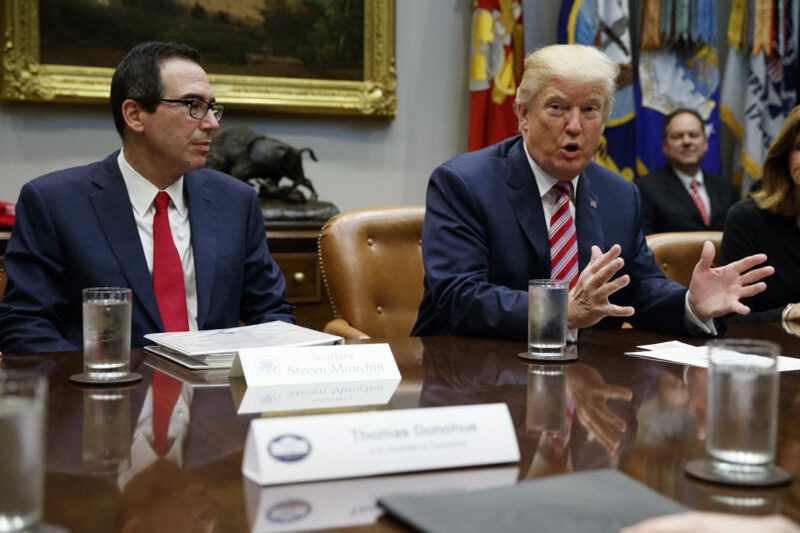 The latest iteration of the sweeping tax overhaul looks significantly different than the versions that came out of the House and Senate earlier this month. Many of the most controversial pieces of the bill have been removed. Some tweaks have been made to further benefit the wealthy and certain members of Congress. And while the vast majority of GOP lawmakers are lining up behind the bill and promising to send it to President Trump’s desk before Christmas, a few absences due to illness and a few last wavering Republicans in the Senate are making leaders sweat. Thanks to changes made in the conference committee over the past week, the GOP tax bill will no longer tax graduate students on the value of their scholarships or kill the 50-year-old ban on churches engaging in partisan politics, and will preserve deductions or credits for student loan interest, major health care expenses, adoption, and teachers’ school supplies. Republicans also backed away from fully repealing the estate tax, though they significantly increased the exemptions for inherited wealth, and they decided to cut the tax credit for rare medications in half rather than repealing it entirely. Several of the most controversial provisions from the original House and Senate bills, however, remain. Most significantly, a repeal of Obamacare’s individual mandate, which is expected to increase the number of uninsured Americans by at least 13 million. On Friday, after threatening to vote against the tax bill over concerns that it was not generous enough to working parents, Sen. Marco Rubio (R-FL) secured a slight increase in the refundable portion of the child tax credit—from $1,100 to $1,400 per year. Rubio had originally demanded that the credit be increased to $2,500 per child and that the income threshold be lowered all the way to zero, allowing the poorest families to receive more of a benefit. But the final legislation will not touch the threshold at all. Rubio indicated Friday that he was pleased by the change and will vote yes this week. In the Senate, many bills live or die at the pleasure of Sen. Susan Collins (R-ME), but with promises to vote yes from former holdouts like Rubio and Sen. Bob Corker (R-TN) all but guaranteeing the tax bill’s success, Collins may have lost much of her leverage going into the vote on final passage. Collins has moved the goalposts several times since making these demands—first saying they had to pass before the Senate took its first vote on the tax bill, then saying they had to pass before the final tax bill came back from the conference committee, then saying they had to pass before the end of the year. Now, according to Rep. Mark Meadows (R-NC) and other influential House members, action on Collins’ health care priorities will likely be put off until next year, long after she has to decide whether or not to vote for the tax bill. And now that Republicans no longer need her vote to get the bill across the finish line, it’s unclear whether the health care stabilization policies will be taken up at all. Collins told TPM on Thursday that the Senate would vote to insert the provisions into the end-of-year spending bill, but refused to answer what she would do if the House voted to strip them out. Over the past few weeks, many senators have flipped from no to yes on the tax bill in exchange for promises of questionable value. Rubio got $300 more in child tax credits, Sen. Jeff Flake (R-AZ) got an invitation to negotiations on DACA, and Collins got shaky promises on three future health care policy votes. Corker, the only GOP senator who voted no the first time around, announced Friday that he would vote yes despite have secured no changes to address his concern that the bill will explode the federal deficit. 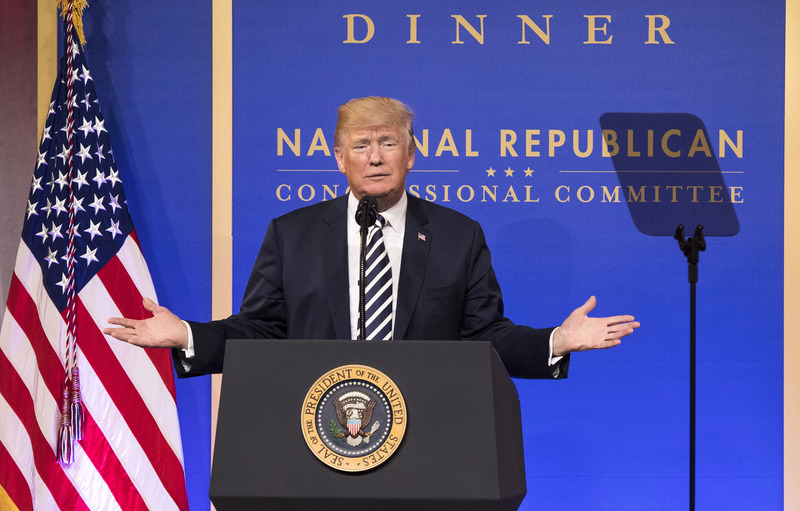 Though most GOP lawmakers confidently declared that the bill would stimulate so much economic growth that it would pay for itself, studies by government economists, independent think tanks and universities found that it would add a minimum of $1 trillion to the deficit. Even Trump’s Treasury Department admitted in a one-page report that the cuts alone will not pay for themselves, and would have to be coupled with deep cuts to the social safety net in order not to increase the deficit. Now, though Republicans have made no significant changes to address the cost of the bill, Corker is a yes. Yet Corker may have had a different motivation to back the bill. A provision added in the conference committee would benefit him personally—a tax break for real estate holdings—though Corker insists he did not know about the sweetener when he agreed to vote yes. The tax bill is likely to pass without a single Democratic vote, and lawmakers in the minority party say they have had no opportunity throughout the fast-tracked process to have any say on the policy. Republicans held no hearings on the bills, jumping right to the markup stage before holding a vote and convening a conference committee. At the one public conference committee meeting, last Wednesday, the GOP chair would not allow any Democrats to propose amendments or motions, prompting outcry from Democrats who compared the proceedings to Vladimir Putin’s Russia and communist Cuba. On Friday, long after the details of the final bill had already been hashed out between Republicans, Democrats were allowed to view the legislation, a few hours before it was released to the public.